I am now blogging at Asperger's Heroes. Please check out my new site and service to the autistic community. I would be really grateful if you could answer the questions on my survey to let me know what you think. Please scroll through the survey to answer all the questions and then click "done". There are ten questions in total. Your answers are really appreciated. Apparently this is a popular meme. A certain photo has been going viral on the internet for some time now. My daughter thought it was hilarious. 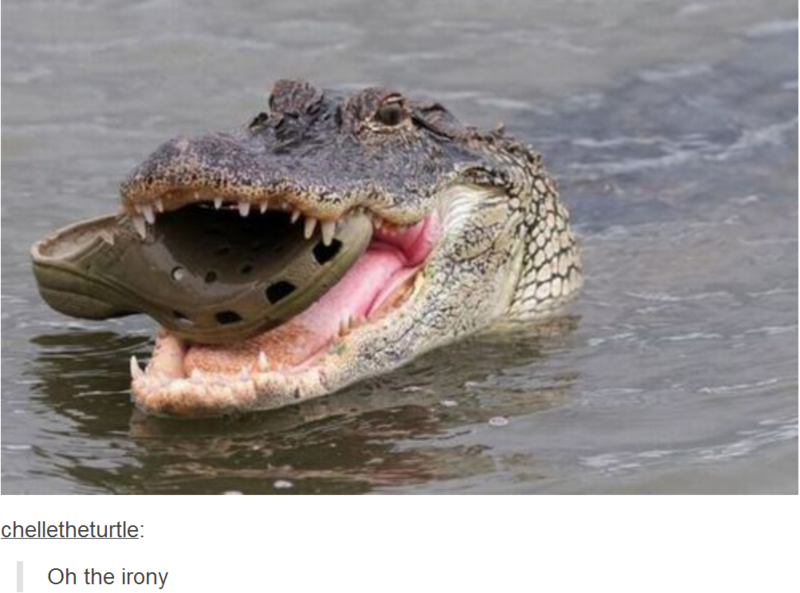 I trust no one including the crocodile was harmed in the production of this picture. OK I've kept you in suspense long enough. To see what happens next you just need to click on the link here. Last week I went to our local urban food growers’ event in the Botanical Gardens. There were over 100 people there representing many food-growing and community gardening groups across the city. Noticeably there was a good mix of age groups. The meeting was part of The Big Dig, a campaign run by Sustain. Their aim is to get city dwellers to grow their own vegetables in the healthy outdoors. This year the campaign has been extended to include our city of Birmingham. "What we as community activist or social activists make of The Big Dig," said my neighbour Chris Blythe who was leading the meeting, "is up to us". Mike Hardman from Birmingham City University spoke on Food in the City. He talked about the increasing trends of rearing livestock and producing food in the city. He gave the example of Detroit where a whole destitute area was re-energised through food as well as other examples in New York. Guerrilla Gardening started in the States and is now occurring in the UK. Mike Hardman also mentioned crazy projects such as vertical gardening and cited Carrot City - a project that has catalogued many more examples of urban agriculture. Birmingham is in fact a very green city and now has a large food growing scene with many Grow Sites such as our own Coplow Street Grow Site. Alys Fowler then spoke on community gardening. In community gardening some people the gardening comes second and the sense of community is far more important. I could really identify with this. 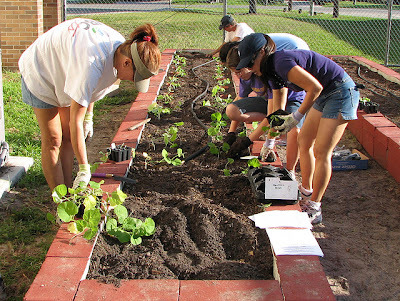 Many people may be intimidated by aspects of the actual gardening such as digging but bring other talents to community gardening such as administration. How can we develop our projects further? Community lunches were suggested - sharing food of different cultures – growing them, cooking them and then eating them possible at outdoors events where grown. There was a general consensus that social events like this may bring cultures together improving social cohesion, building cross generational links and promoting social inclusion. The Big Dig will involve an open garden event on Saturday March 16th to kick off the growing season but there will be a lot to do afterwards. Last year's Big Dig also involved a September event too including open gardens again. It’s that time of year again. Yes, another year has passed. Our daughter Callie is nine years old and both Nettes & I are now in our 50s and beginning to feel it! 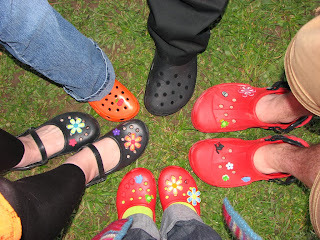 Anyway, here is this year’s round up of our family news. I am still teaching A Level Psychology to sixth form college students and my wife Nettes continues to work supporting adult college students with additional needs. I am enjoying commuting to college on the train now that we have finally got rid of the car. To be honest I never really enjoyed driving and find life much less stressful without it. We are still a very active part of Church Alive, both of us teaching Sunday school, taking our share in hosting a home group and generally serving in the church. This year Nettes stepped down from overall responsibility for the Sunday school and the church gave us a couple of thank you gifts. 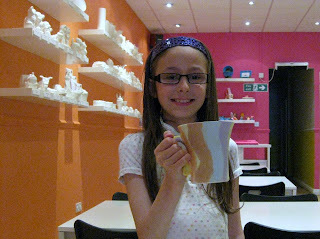 They treated us to an afternoon at We Are Mud where all three of us decorated our own mugs. But more amazingly the church paid for our living room to be re-carpeted too, after living for 10 years with a patchwork of old second hand carpets. 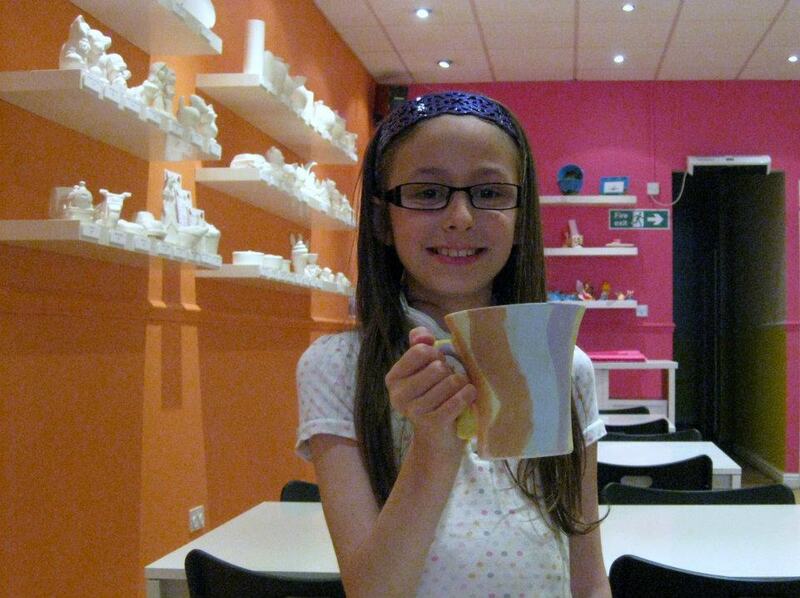 Nettes was also involved in the church’s holiday club over the summer and I helped out at a café for the parents. Nettes continues to regularly help at our church’s Friday evening kids club Kids Alive too. We were proud to discover that our sister church in Zambia has started a Kids Alive, so Callie and Nettes have been helping our Kids Alive raise money for them. We are still plugging away at WorkShop the little Thursday morning job club that Nettes & I started a couple of years ago. We continue to give people one to one support in job hunting, CV writing and any job coaching they need. We are now a Jericho Job Club which means some additional resources from this network of job clubs including vacancies being sent to us on a regular basis. Over the Easter holiday as a family we had a great time at Spring Harvest – a Christian conference at Butlins in Minehead. I had a great time in the prayer house, Nettes loved the Bible studies and we both got to a number of different sessions. Our daughter Callie had her own children’s meetings that she thoroughly enjoyed. We also got some time to enjoy the facilities at Butlins and had a go at some archery and fencing. Again this year Nettes has been working with many of our neighbours on our area’s RHS It’s Your Neighbourhood in Bloom award. This is only our third year and we have reached the top tier: Outstanding - a great achievement. Working together with neighbours has been an important part of Nettes’ year and she is also involved in the compilation of a community calendar promoting the Residents’ Association and local services. Another exciting project is the development of a local timebank, which is in very early stages but should come live early in the New Year. This enables people to get time credits for services they give to friends or the community and then get help back in return - one hour credit for one hour of help. If anyone lives in an area with a timebank we recommend getting involved. We have also been growing vegetables in our local Grow Space, which now has a polytunnel greenhouse and have had a couple of community events up there. Our most prolific crop has been the nasturtiums. They’ve taken over our front garden. We’ve been eating the flowers in salads and Nettes has a wonderful recipe for stuffing the leaves. The highlight of Callie’s year was the holiday in Devon staying with Nettes’ cousin Ann over the summer. It was great to see family again after so long. Callie made new friends including a pen pal. Nettes also took Callie and her friend Isabelle to the Isle of Wight and had the strange experience of staying in her old house, which is now a very nice B&B. There have been many changes in Freshwater as one would expect. It was a lovely surprise to find Nettes' childhood friends Sally and Tony now running The Church on the Roundabout in Newport. We’ve had a lot of work done on the house this year. As well as getting a lovely new living-room carpet we have had the bathroom retiled and the garden completely transformed. I have now also started studying for a Diploma in Life Coaching by distance learning. So I am busy writing assignments and reading plenty of books about life coaching. I am still blogging on my Christian blog CharisMissional and I have started a new personal development blog Authentically Positive, which includes some of the ideas that I'm learning about life coaching and some of my knowledge of psychology. 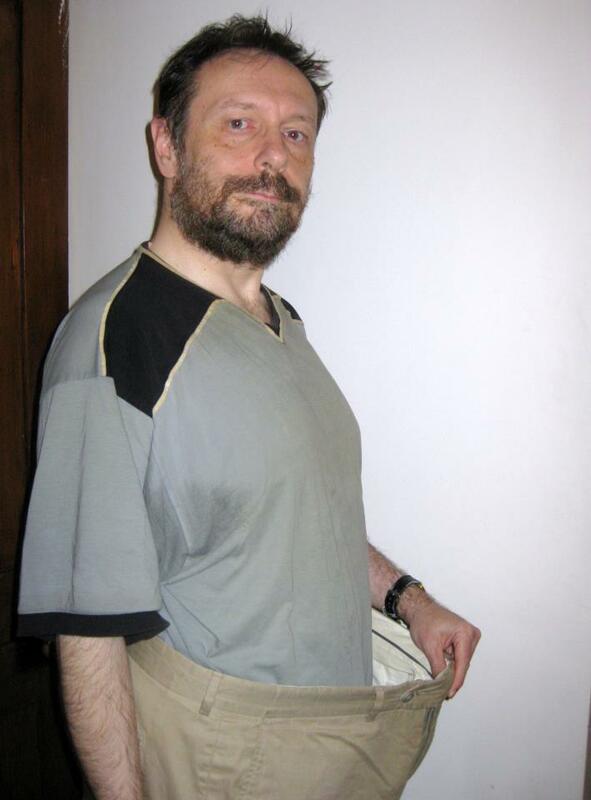 Also early in the year, I set myself the goal of losing two stone and I actually managed to lose nearly three over the course of the year. I also found out that I needed hearing aids this year and had a pair fitted at my local hospital. If you think you might need hearing aids please get some. The results are amazing. Meanwhile Nettes has got very involved in crafting again, mainly knitting and crocheting for charity and for fun. 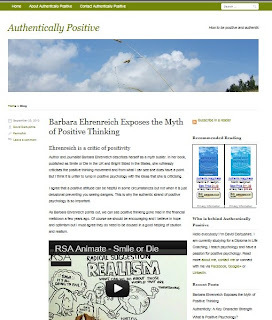 As well as blogging at CharisMissional I am now also blogging at Authentically Positive This is another Wordpress blog that looks at my interest in positive psychology and life coaching. I have been teaching Psychology for about 20 years and this year I have started an online Diploma in Life Coaching with the Blackford Centre for Life Coaching. These two words I feel sum up what I want to say about this topic of positive psychology. It is important to be positive but not at the expense of being authentic. This blog will be dedicated to exploring practical issues of life related to psychology particularly with an emphasis on positive psychology. These will be down to earth discussions about real life applications. It won’t be your classic positive thinking approach but rather I want to outline a realistic yet optimistic approach to life. So is this blog still active? From time to time I do want to continue to post here – with the occasional photo or family news or article that doesn’t fit either of the other two blogs. 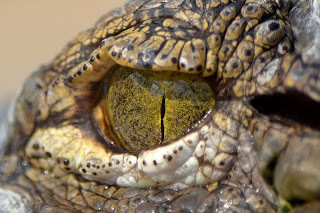 I also want to leave this blog up as there are still some interesting posts on it and it still gets a number of visitors. So feel free to explore the archives. But please follow me at my current blogs of CharisMissional and Authentically Positive. I suspect that my Christian friends will primarily follow me on CharisMissional whereas Authentically Positive will be aimed at a wider audience. 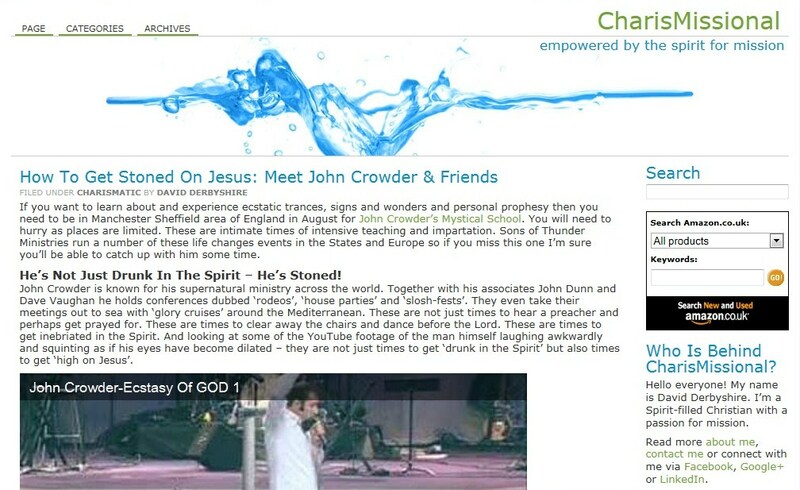 Just to let you know that I’m now blogging at CharisMissional. After blogger here on blogger for a serveral years now I decided it was time to move to WordPress. In doing that I thought I could perhaps re-launch the blog with a bit of a clearer focus. Some time ago I posted a little post about the word CharisMissional. The more I’ve thought about it the more that seems to be where I’m coming from. Don't worry, I'm not trying to start a new movement or anything, it's just my attempt at a witty name for the blog! The word CharisMissional is a blend of the two words – charismatic and missional – that I feel are both important to my Christian faith. The new blog will be dedicated to helping other Christians learn about the gifts of the Spirit and mission and hopefully to share their own insights and experiences in these areas. What Will Happen To This Blog? I hope to keep this blog going. I will post here any thoughts or comments that don’t really fit in my new blog. One of the reasons for the new blog was that I realised a lot of my posts were about Christianity, mission and those sort of areas. I’m not sure yet what will now appear on this blogger blog now. Perhaps reflections of a more personal nature or other topics that I’m interested in. You’ll have to wait and see. Also there is still plenty of stuff on this blog that I’ll revisit and keep on linking to on the new one. In the meantime please feel free to follow me at CharisMissional. Yes, it’s that time of year again! Last weekend we took part in Ladywood Community Fun Day. In this photo you can see Philipa who ran the Grow Well stall. This year we didn’t have a Prayer Tent but our church was still very much involved. A couple of years ago our church helped on the day as our worship that weekend. This year we were meeting on the Sunday but still a number of people put in a lot of work to serve the community. Members were stewards for the event, helped put up and take down the stalls and tents and were litterpicking throughout the day. It was noticable how no litter was there at the end of the day. My friend Harry from Karis Neighbour Scheme did a sterling job of pulling a lot of the day together. I think he was exhausted by the end of the day. Many people from the local community took part. Nettes and I did some surveys for WorkShop – the local job club that we are running. We were trying to find out what sort of help people would appreciate and also publicising WorkShop at the same time.